I am pretty techy (okay, I admit it, I am a geek) and always have my iPhone, iPad or laptop by my side. I manage my life with technology in every way and form. That said, I love paper, notebooks, and pens. I have had this conversation with friends before, so I know I’m not completely insane because I love office supplies. I have a thing for Moleskin notebooks (and really good pens). I usually have both in my purse at all times. 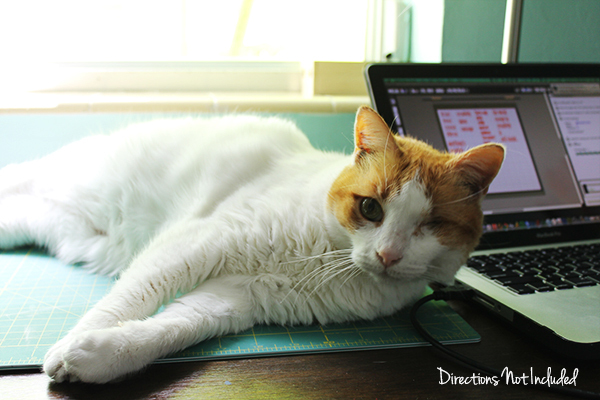 This is not a sponsored post – just the confessions of someone with a love for office supplies and the tactical inspiration they can provide. What better way to take advantage of a sale at my favorite store in honor of back-to-school than to couple it with a project. 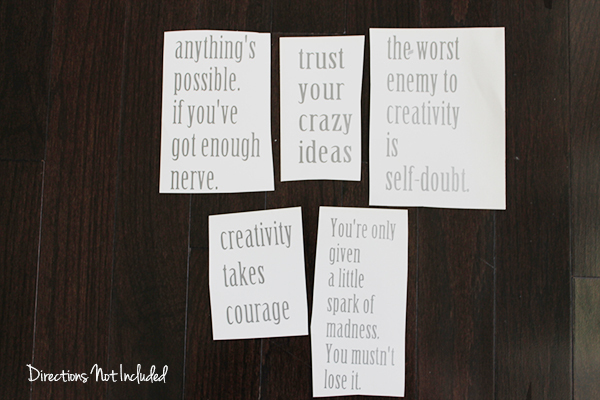 These DIY inspirational quote notebooks were made to make me smile when I pull them out of my bag and for random pick-me-up gifts. These Moleskin notebooks were on sale and I had to stock up since the majority of mine were filled up. I may keep my life on-line via Wunderlist and Evernote, but I definitely love writing things down, crossing them out, and jotting down inspiration items on paper. 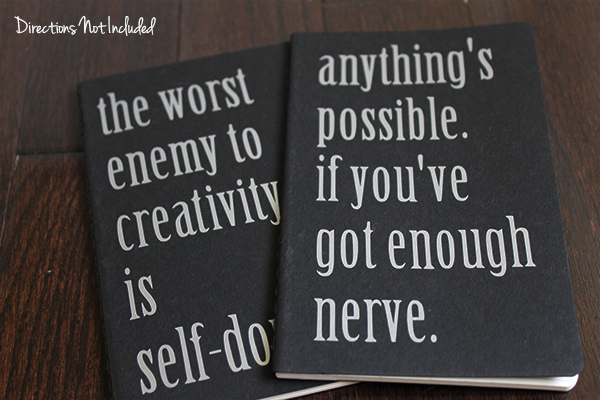 I measured out the notebooks and laid out the quotes using my Silhouette design software. You can’t really tell from the pictures, but I used a silver vinyl with a hint of shimmer to liven up the notebook. 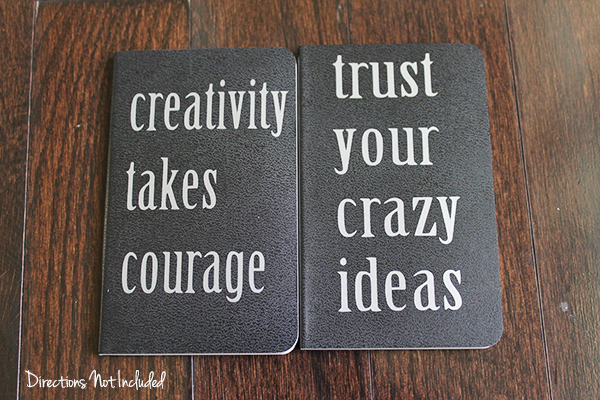 These are the two mini notebooks after the vinyl quotes were applied.They are the perfect size to fit into a shirt pocket or the back pocket of your jeans. 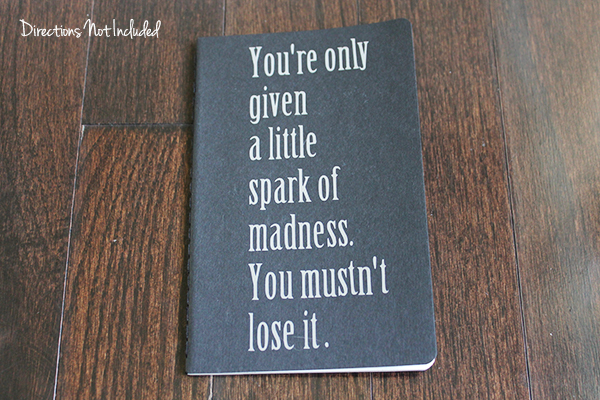 You have no excuse to always have a DIY inspirational quote notebook with you at all times. And this one was so timely and pulls at my heart strings. If you follow me on Facebook or Instagram, you know that I’m a huge Robin Williams fan and his death hit me harder than I expected. This is by far one of my favorite quotes. We all have a bit of madness in us. We need to embrace it! Nothing like a 10 minute project that ends up being completely inspirational for yourself or for anyone you gift these too. What is your favorite inspirational quote? Please share! oh i love these anna! 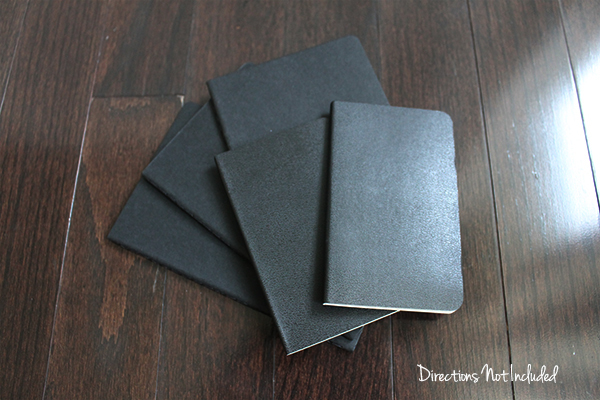 i love personal journals and notebooks!